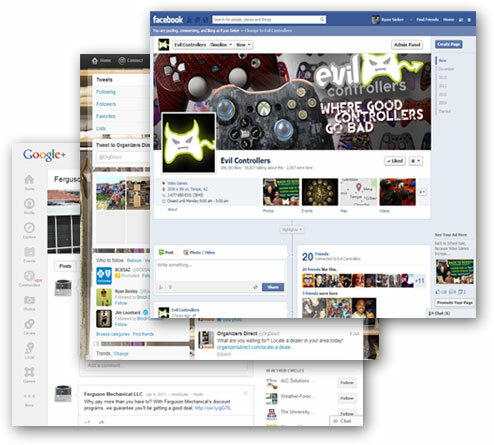 Wizler will post to Facebook, Twitter, and Google + on your behalf. We have social media packages to meet the needs of all businesses, from basic maintenance to full agency social media consulting. We create and post content on your behalf! Keep your social media presence current and updated. Choose a Social Media Package that fits your business needs. Customize your own Social Media Strategy with us! Agency experience at realistic prices. Put your Social Media Strategy on Autopilot! Never Miss another day of posting. We will keep your page fun and active. Your customers expect to see you on Facebook. 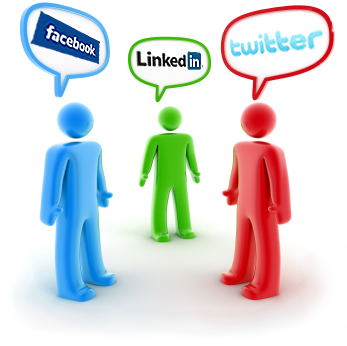 Let our Social Media Specialists help establish your online presence. Studies show that when people have "liked" a business page on Facebook, they are more likely to use that company due to familiarity. A common misconception about optimizing your small business for social media is that it is entirely free. While you can maintain Social Media accounts yourself and pay nothing, it is often good to think of social media as an open ended marketing tool. Statistically, social media requires 60% less than outbound forms of marketing and has benefits far exceeding traditional marketing campaigns. Social Media Management can be time consuming and often requires a creative understanding of one's brand. Luckily, the social media consultants at Wizler will monitor and update on your company's behalf. Social Media Coordinators will develop an understanding of your business perspective, and from there will post updates and create Facebook ads aimed at driving sales and increasing your ROI. In its simplest form, Social Media provides a platform where customers can discover information they need to make purchase decisions. 50% percent of consumers believe a brand's Facebook page is more useful than their website. Ready? Automate your social media now!